P3 – Practice standards-based assessment. Teacher candidates use standards-based assessment that is systematically analyzed using multiple formative, summative, and self-assessment strategies to monitor and improve instruction. This means that teachers are regularly assessing students using standards that align with the goals of the class, the teacher regularly check’s for student understanding through formative assessment and standards based grading. Additionally, I believe that the teacher should help students assess their own learning and teacher request feedback from students and other faculty to assess teaching. While the evidence in this bPortfolio reflection does not capture all of these types of assessment, they are regular parts of my classroom. The evidence being submitted is a copy of a practice edTPA Task 3. This assessment was a comprehensive final assessment from semester 1 where students were asked to demonstrate understanding of several learning targets throughout the 20 weeks of learning. In this task, I identified the standards being assessed for each item of the exam and used three student work to provide student feedback and collect student reflections of the assessment. The best part of this assessment was my ability to grade students on understanding of specific learning targets, rather than just correctness. 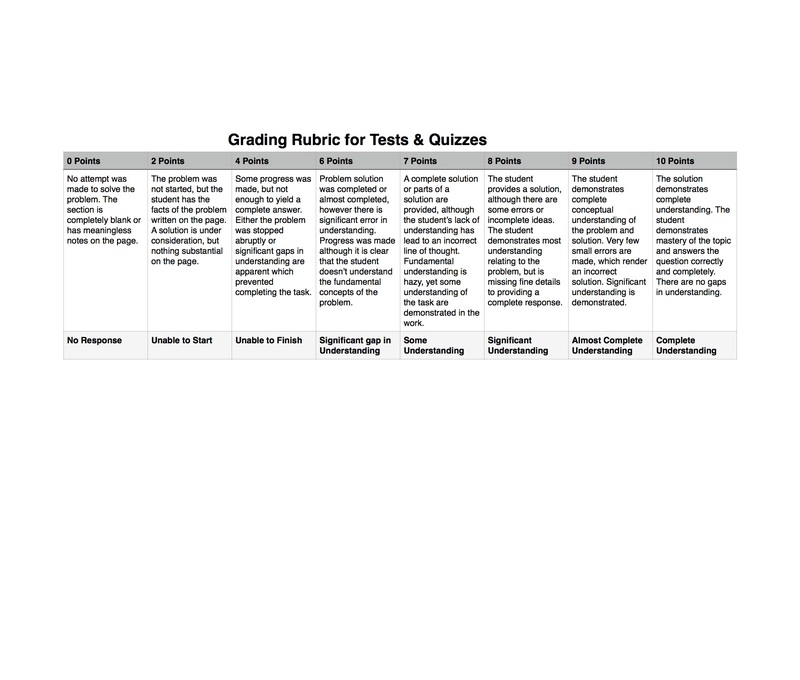 this grading rubric which helps me identify the level of understanding of my students. My work in my internship and the assessment methods course have helped me in responding to the edTPA questions. For example, when providing analysis of what students understand, the above rubric helps me identify exactly what evidence is on the paper to support the students understanding. Since each question is related to a specific standard, students can clearly see the areas which need the most improvement. Writing the practice edTPA Task 3 has helped me gain insight into how to view assessment and evidence collection. Additionally, I was forced to provide written feedback to students (which is not a frequent because of the time it takes to respond to each student individually in writing). This was effective for students, they have a tangible piece of writing for them to reflect on. Finally, I learned about the value in asking students “what are your next steps for understanding?” While this seems logical to me to ask when I’m struggling, I have developed this skill over the years of learning and students need to learn to self assess and identify ways to improve their skills. I think standards based grading is a smart way of assessing students, it helps them identify areas of growth. HOWEVER, through our study of standards based grading, the implementation of the system seems to have many failures and has been met with some resistance. Because standards based is highly subjective (rather than objective) it is increasingly difficult to match a quantitative score to a qualitative analysis of student work. The feedback is better, but often unfamiliar to parents. To improve, I hope to bridge the gap between quantitative and qualitative feedback. Students like to know “percentage grades,” but there is also value in providing specific feedback about how students can improve and in which areas. There is no easy solution, i’m sure this pursuit will be career long, however through a wide variety of feedback (including student reflection, teacher reflection, informal assessments, student journaling etc.) students, teachers, parents and administrators can gain a wider view of a students understanding of the content material. This entry was posted in P - Practice effective teaching, P3 - Practice standards based assessment. Bookmark the permalink.